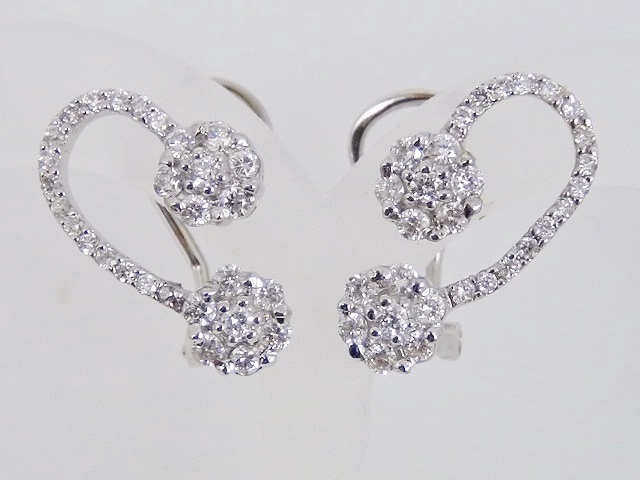 Ladies 18k white gold curved diamond earrings with diamond clusters on both ends. 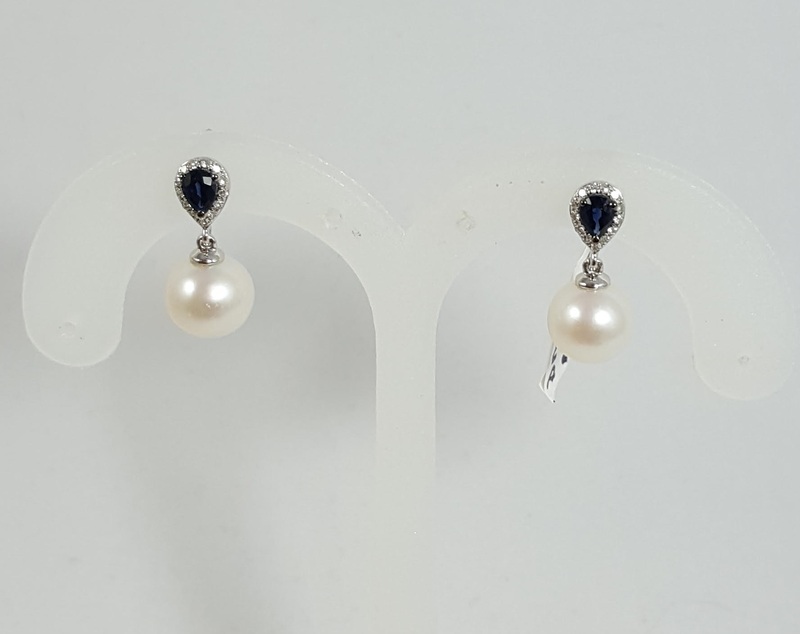 The backs of the earrings are leverbacks. Category: Gold Earrings. Tags: cluster, curve, diamond, round, white, white gold.